Some of Uganda’s most outstanding innovators and promoters of biotechnology have been recognized for what was described as laying the foundation for a green and prosperous economy. 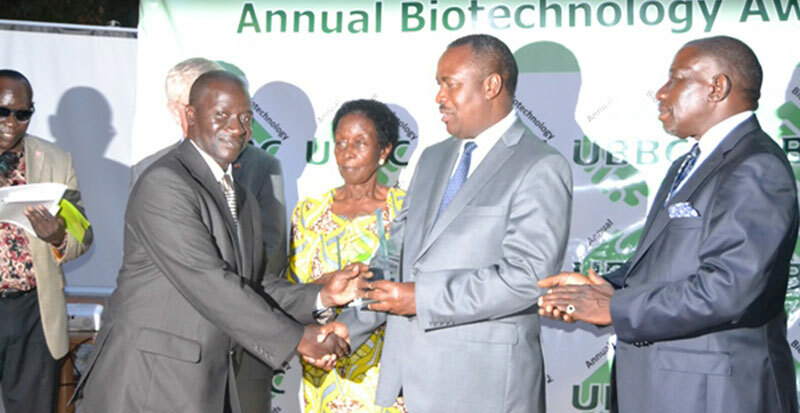 The awards were organised by the Uganda Biotechnology and Biosafety Consortium (UBBC), a nongovernmental pressure group that seeks to promote pro-biotech policies in Uganda. Although majority of the recipients came mostly from the agricultural field of crops and animal research, other Ugandans working in areas including human medicine, science communication, industrial chemistry and environmental science got accolades. The diversity of recipients, according to the Minister of Science, Technology and Innovations Dr. Elioda Tumwesigye, represents the hugely untapped but promising potential of biotechnology for Uganda’s growth. “The bio-economy has greater potential to bring Uganda more money than oil,” said Tumwesigye. His views were supported by Hans Peter Christopersen, who represented the Norwegian Ambassador at the awards. Christophersen, whose country Norway is considered as one of the most successful oil producers in the world, stressed that agriculture has greater potential than oil. Petersen emphasised however that Uganda’s very rich agricultural potential that ranges from crops to fish and animals, remains largely unexploited because of the reliance on outdated peasantry practices. “Agriculture has greater potential to create jobs than oil, but remains very inefficient. Biotechnology has an important role to play in making agriculture more efficient and competitive,” said Christophersen. 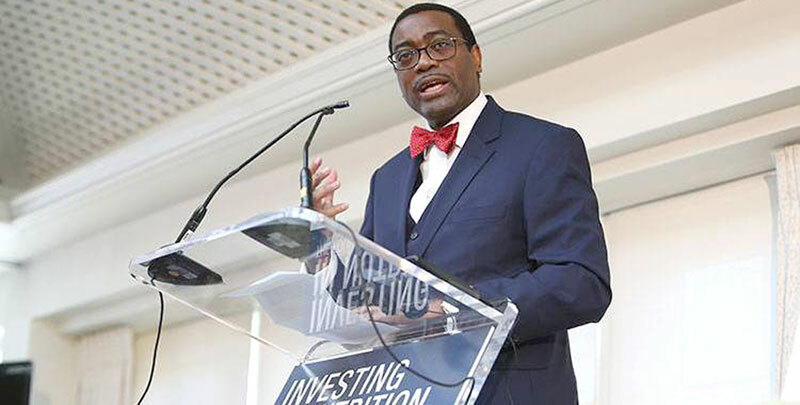 He noted as well that the oil sector can be used to spur the growth of the agricultural sector. He cited Norway’s use of Carbon Dioxide extracted from oil that was used to promote the growth of Algae and planktons that was used to promote fish farming. He added that Amonia, a by-product of the oil processing sector, is an important raw material in fertiliser production. Emmanuel Katongole, the MD Cipla Quality Chemicals Industries. Under his leadership, Cipla embraced biotechnology-based medicines including vaccines. Dr. Emma Naluyima, a renowned small-scale farmer based in Entebbe, who shot to fame through her willingness to share her success story in practical farm visits, was among the winners. Arthur Makara, the Executive Director of the Science Foundation for Livelihoods and Development (SCIFODE). Through SCIFODE, he has helped to promote biotechnology communication, besides setting up a private Tissue-Culture company called Nsigotech that is based at Busiika on the Gayaza Zirobwe road. Others winners include; Daily Monitor journalist Lominda Afedraru, Dr. Theresa Sengooba, considered the mother of Biotechnology in Uganda for her many years as a teacher as well ad administrator of biotechnology in different institutions. Prof. Ogenga Latigo, a former Leader of Opposition and an advocate of science, along with Prof. Phinehas Tukamuhabwa who invented several lines of Soya beans and ordinary beans was among the other winners. Dr. Fredrick Kabi, who invented a biotechnology-derived vaccine for the control of ticks was among the winners. Dr. Wilberforce Tushemereirwe, the Director of the National Agricultural Research Laboratories (NARL-Kawanda), renowned Cassava breeder Dr. Titus Alicai, the National Crops Research Institute (NaCRRI), Dr. David Talengera, a banana breeder at NARL and Dr. Yona Baguma were also among the recipients.